Why did you pick up this book? Did it have something to do with the eye-popping colors on the cover? 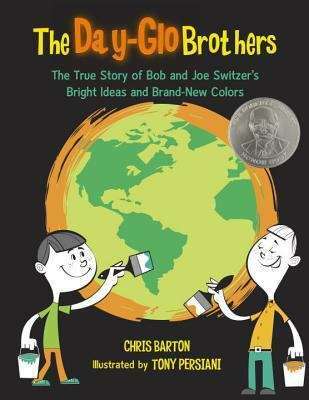 You can thank Bob and Joe Switzer for those shocking greens, blazing oranges, and screaming yellows. The brothers invented a whole new kind of color--one that glowed with an extra-special intensity. It took them years of experimenting, but their efforts paid off brilliantly. Day-Glo colors helped win a war, save people's lives, and brighten everyday life--including this book!